This landscape depicts a magical spot in the world that is now on my bucket list: Valle D'Aosta, located in northern Italy. Prior to being commissioned for this piece, I was none the wiser as to the existence of this piece of heaven. 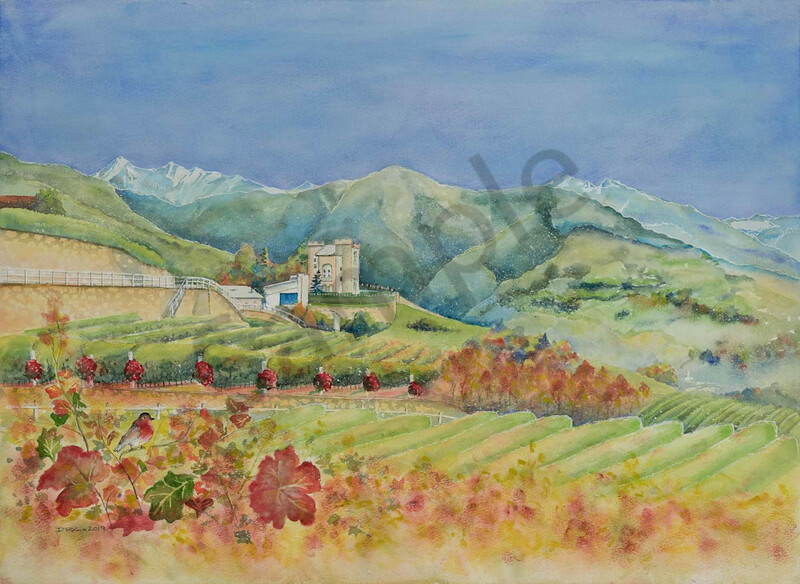 My research has only cemented my desire to visit: in the meantime I am able to vicariously visit Valle D'Aosta with Robyn, the vineyards hugging the hillsides with the alps towering in the background, every time I savour this watercolour. I thank you Robyn, cheers.